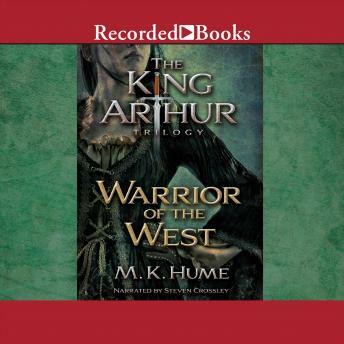 The second book in an exciting, brand-new Arthurian trilogy Twelve long, blood-soaked years, have passed since Artor fulfilled his destiny and was crowned the High King of the Britons. Against all odds, Artor has united Celtic Britain and with a last great campaign, has banished the Saxon scourge. The legend of Camlann has begun. But even as Artor's kingdom is at its zenith, even as he has succeeded in conquering all external threats to his rule, his kingdom is being undermined from within. For Artor has chosen Wenhaver (Guenevere) as a second wife. Queen of the Britons, Wenhaver will always love what she cannot have and have what she cannot love, and her bitterness threatens to bring down all those around her. Not only is Artor betrayed by the one person he should be able to trust, he has also learned of appalling perversion at the heart of his kingdom. He must make a terrible choice. Does he commit a deed that leaves him open to comparison with the despotic Uther Pendragon, or does he let evil go unchecked? The burden of leadership, of power, now rests solely -- and heavily -- on Artor's shoulders for Myrddion Merlinus, master tactician, guiding light for so many years, has left Artor to his fate. Could all that Artor has fought for, the destiny of Britain, be lost?Will Britain be torn apart?